It was May 2015 when the entire Absolute Zero crew & Legs of Steel made their way to the Stubai Glacier in Austria with a few dozen of the worlds best skiers. The plan was to construct and film a multi-featured terrain park and have a “train” of skiers flying through the air all at once while narrowly avoiding catastrophic collisions as they flew through the air. 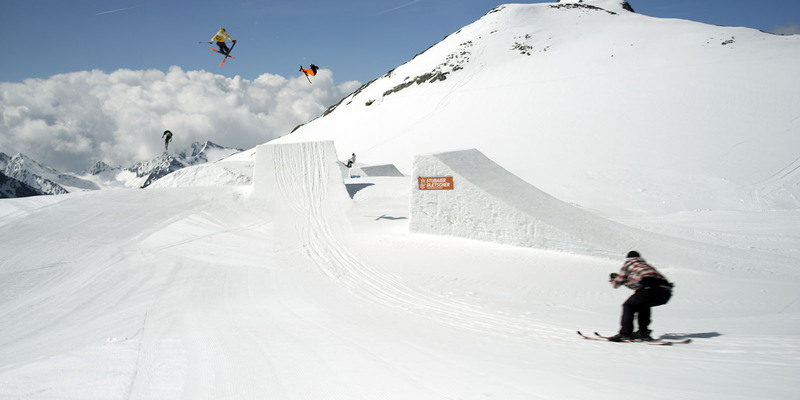 The project turned out to be interesting enough that a TV crew from The BBC decided to make a trip over to Stubai as well to document the whole process. Fast forward to today, and you’re now able to check out the entire behind the scenes process thanks to BBC Ski Sunday.